← Buy Local; It’s Worth Every Cent! If you haven’t heard of Etsy, and you are a creative arts person, you should look into it as a place to sell your stuff. The basics: You open a “shop” and sell your stuff, and people find you, and buy your stuff, through Etsy, who gets a modest cut of the action, about 3.5% (you can see their fee structure here). There’s no set-up fee, and it only costs twenty cents to list an item. Your buyers can also leave feedback. It’s really a turnkey solution. But it might not be the right venue for you, the woodworker, depending on what you make. 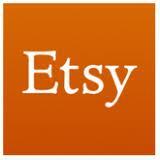 Overwhelmingly, the clientele on Etsy is women, in the 25-34 demographic. Just landing on the home page of Etsy, where they put up popular products will confirm this. The big seller categories are jewelry, textile items, craft supplies, and home decor items. It very much reminds me of your local craft show, only much nicer. Photography is usually very good, if not borderline professional; if you can’t photograph well, and aren’t willing to learn how, you might opt out of Etsy right away – unless you hire someone to do it for you. So, what sells – woodworking wise – on Etsy. Well, our crafty (lol) friends over at CraftCount can help us out with that, they keep tabs on the best selling sellers. MRC Wood Products With over 17,000 products sold, this guy is on to something! He sells custom engraved signs, which are, admittedly, very nice, and does so cheaply, in the $35 dollar range, which puts him in the Unique / Inexpensive / Home Decor category, which is a great place to be. Obviously, it works. Timber Green Woods With a distant 9,700 sales, TGW features sustainable gifts and laser cut wooden ornaments. So, for those green folks out there, this is easy. I’m a little puzzled that ornaments do a such a decent business though. Still, he’s in that more affordable price range for his product, which helps a lot. Bosheree Again, another custom home decor sign company, in the $35 dollar range, with over 7,000 in sales. Boxnmor – Bandsaw box items, also banks and gnome doors. Over 4,000 sales. Andrew’s Reclaimed – Actually, one shop I like. This guy rides the reclaimed / green train, and makes all kinds of “holder” things for home decor, including planters, and again, in the $20-$30-$40 dollar range. Over 3,500 in sales. BarnWood4U – Uses reclaimed wood, in it’s weathered state, to make shelving and picture frames, in the $40 range. 2,000 sales. Gray Works – This guy has a live edge / plank cut / rustic theme going on here, making cutting boards and small bowls, in the $50 to $75 range, mostly. Nice stuff. 1,800 sales. CircleCreekHome – Talk about an esoteric genre – vintage wood stools! $30-$50 range, 1,700 sales. Canadian Wood Crafts – Made to Order Hair Forks and Sticks , Baby Rattles, Natural Teething Toys, Toddler Feeding Products Coffee Scoops, Saute Tools and other Wood Utensils, in the $15-$30 range. My advice? If you think you can come with a novel, inexpensive home decor item geared towards women, Etsy might be for you (as a woodworker). You might sell a few bigger ticket items (highest I’ve done is $850 for one piece), but I don’t see how you can make a living doing furniture and case goods via Etsy alone. Having said that, there very well maybe guys on Etsy doing exactly that, but I haven’t come across them.